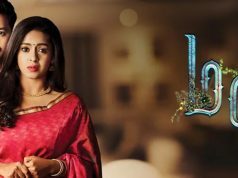 Thari is a Tamil television Serial, which is telecasted on Colors Tamil from Monday to Friday at 7:00 PM. It premiered on 1st April 2019. Sree Nithi and Sabari in the main protagonists of the Serial along with Angana Roy, Farina Azad, Lalitha Anandan and Mu Ramasamy in Supporting roles, Directed by Sakthivel. The storyline will revolve around a girl Annalakshmi (Sree Nithi), who belongs to the Saree weaving community. She is positive and a simple lifestyle. The show will take the audience on the journey through the struggles of a weaver family and their battle to revive the art of traditional weaving will form the major crux of the story.